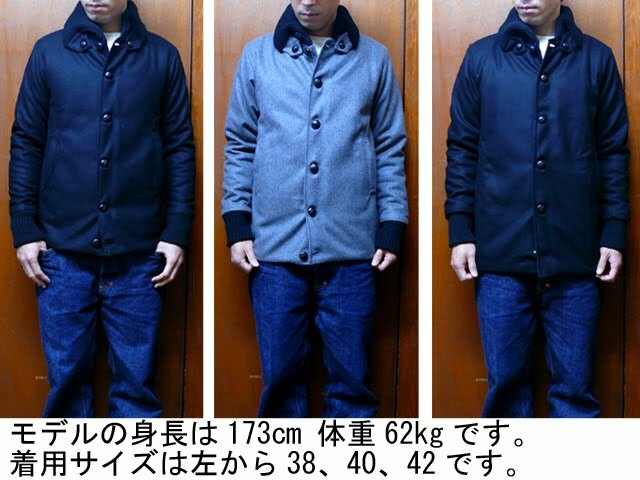 Dry Bones is a terrific clothing company out of Tokyo, Japan. While their primary focus is on denim, Dry Bones also makes beautiful, 50’s inspired outerwear. 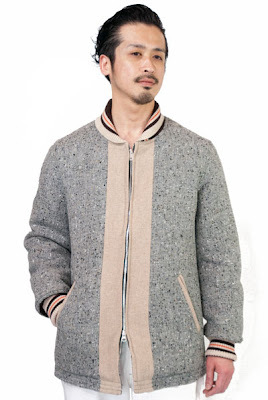 My favorite is this insulated, wool tweed car coat (google unreliably translates the model name as “Pharaoh“). 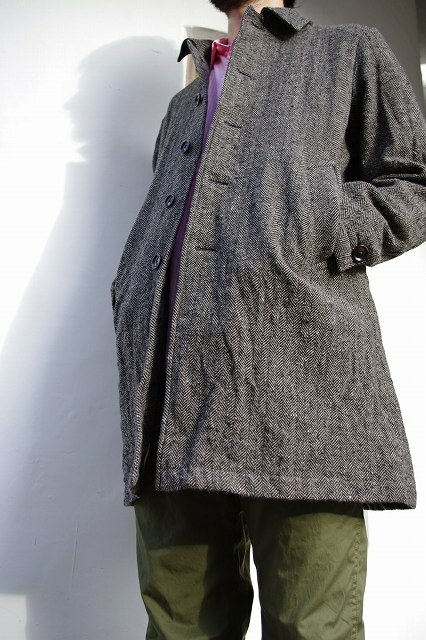 I love the two-tone flecked wool, exposed 2-way zip and knit ribbed collar and cuffs. The inside of the coat looks as stylish as the outside. This is one of those pieces that absolutely looks like it has been shopped from past. Good news for women. Dry Bones also sells a line for women. 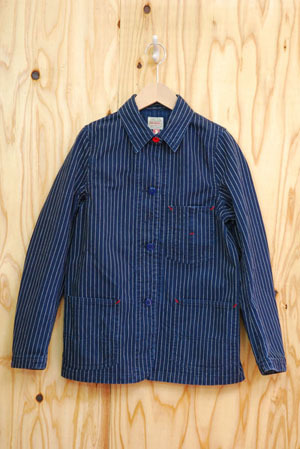 Last year, I picked up this pin striped coverall jacket via rakuten (first spotted at Self Edge in SF). But, o my, the offerings for this year look a little less heritage themed. Really beautiful jacket. The pharoahs refers to the car gang of the same name featured in American Grafitti. Thanks for the clarifying the model reference. Looks like I have a new movie to shop from this week. Curious, did you know a blanket of yours is an editor’s choice in the latest (October 2011) Martha Stewart’s magazine? That’s nice press. Thanks for the heads up. I knew the piece was coming out but I haven’t seen it yet. Off to the grocery store!